Wine and oysters on the half shell, but of course! 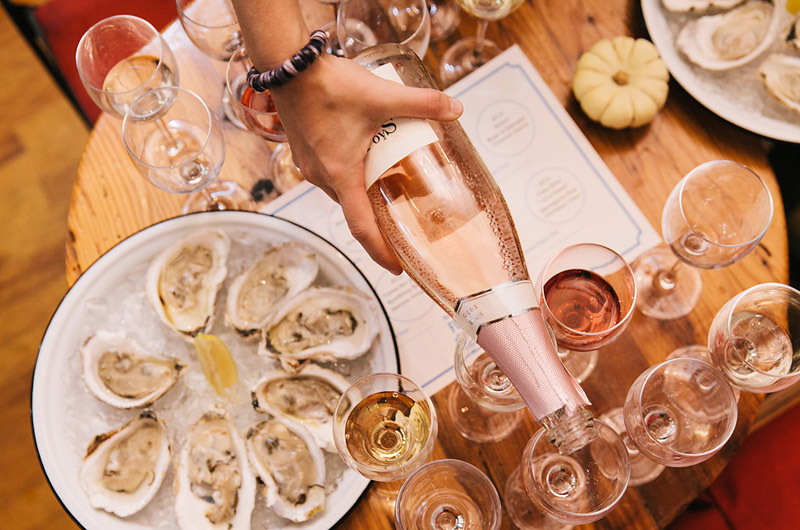 Chefs and vintners from across the Island and around the world will showcase their creations next week during the 11th annual Martha’s Vineyard Food & Wine Festival. The four-day feast for the eyes and taste buds begins on Wednesday, Oct. 17 and continues through Sunday, Oct. 21. The festival kicks off at the Agricultural Hall in West Tisbury on Wednesday with the Fresh Off the Farm event showcasing Island-based growers and producers. The signature Grand Tasting event on Saturday moves this year from the Harborview Hotel to the Winnetu Oceanside Resort in Edgartown. It features tastings from over 250 winemakers, spirits, breweries, gourmet foods and restaurants. Portions of the proceeds from the festival will benefit Island Grown Schools, a farm to school initiative, and the Agricultural Society. Festival director Dawn Hanley said returning guests can expect an expanded portfolio of wines this year spanning the globe from Sonoma, Calif. to the south of France. She said the roster of events, ranging from a Deconstructed Clam Bake to a sommelier competition, will give new flavors to the festival. She said there is also a new Brunch 5K and 10K race this year starting Sunday morning at the Katama General Store. Scott Ehrlich, head chef at The Dunes restaurant at Winnetu, said seafood is the star of the many tasting menus he has helped visiting chefs prepare. He said it is his first year cooking for the festival and he’s excited to be part of an event that breathes life into the Island’s shoulder season. Ms. Hanley said she predicts that over 2,000 people, nearly half coming from off-Island, will attend one of the festival’s over 25 tastings and seminars. Come for the food, she added, but stay for the conversation. Visit mvfoodandwine.com for tickets and more information.